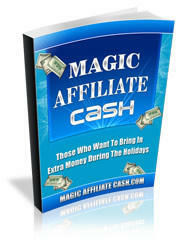 "The Strategic Profits affiliate program is GOLD. It has by far been the most profitable program I've ever been in, netting me over $40,000 in commissions. What's really great about Rich and his team and the products they produce, is how easy they make it to promote as an affiliate. The free resources are of such high quality, my subscribers THANK ME for telling them, and then I get paid for sales too. That's a win-win-win relationship if I ever saw one."